Skk Mobile has just announced on their Facebook Page a new 9 inches tablet with quad core CPU and runs on Android Kitkat, the Skk Cloud 9. The Skk Cloud 9 has a dual sim card slot with full 3G phone functionality to stay connected anytime, anywhere. User can shoot a clear photos using it's 5 megapixel rear camera but unfortunately, the front has a VGA camera only. The 4GB internal memory of Skk Cloud 9 tab can expand up to 64 GB via micro SD. This tablet is powered by a 1.3 GHz Quad Core MT6582 processor with 512MB of RAM. It also carrying a 4,300 mAh battery and support Wi-Fi, Bluetooth and 3G connectivity. 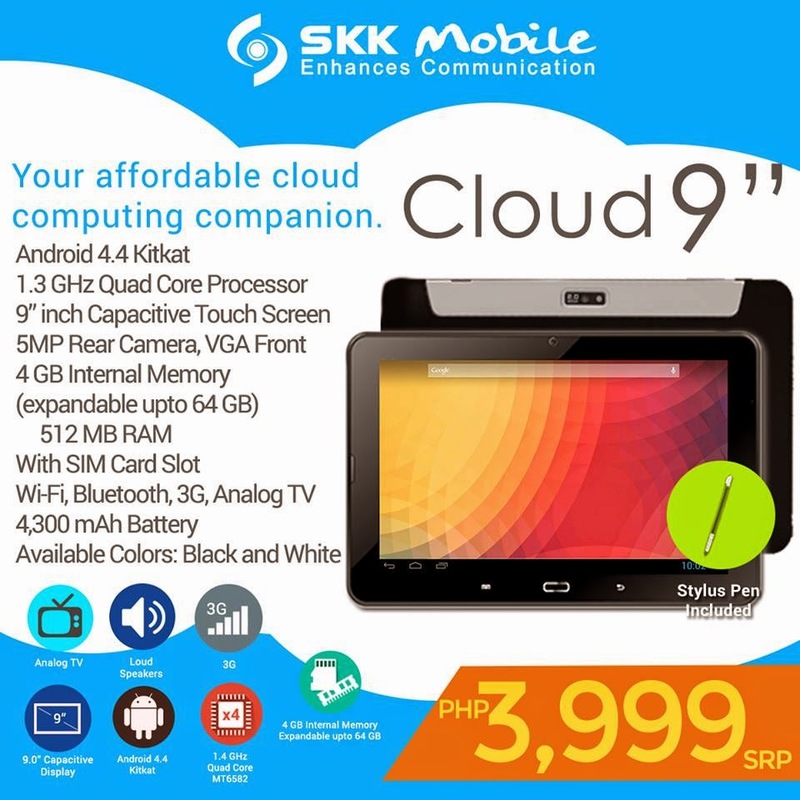 The Cloud 9 is available in Black and White color variant for Php 3,999 price tag.